How to filter Sub branch lookup field value in CRM ? In this blog Dynamics CRM consultants are sharing a step-by-step guide to explain how to filter another lookup field value based on one Lookup field value. In this Lead entity, they are having two fields Branch and Sub Branch and you will learn how they filter Subbranch based on Branch field. Based on one Lookup field value, how to filter another lookup field value. 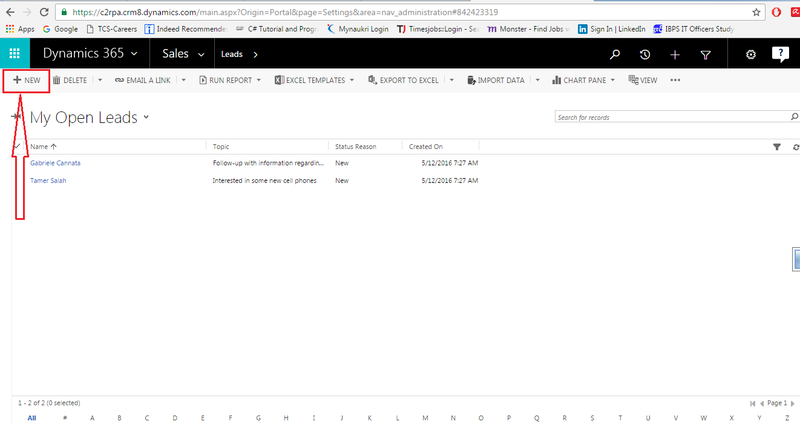 Step 2 – Create Data in Branch entity for e.g. you can use country names like (India, United Kingdom) these are branches of the company which are denoted as country wise. Then every Branch should have sub branches, we need to create the data for Sub branch entity also. 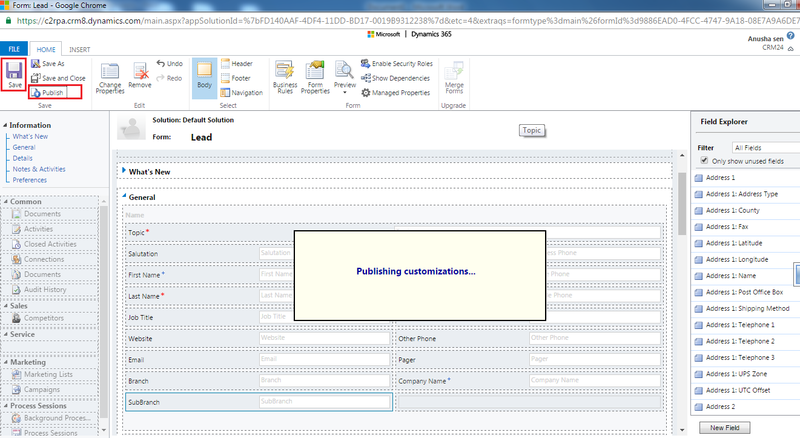 Step 3 – Before creating the data in sub branch entity. Firstly, we need to create a field namely MainBranch (DataType -Lookup) in Subbranch entity which will locate your Main entity Branch. 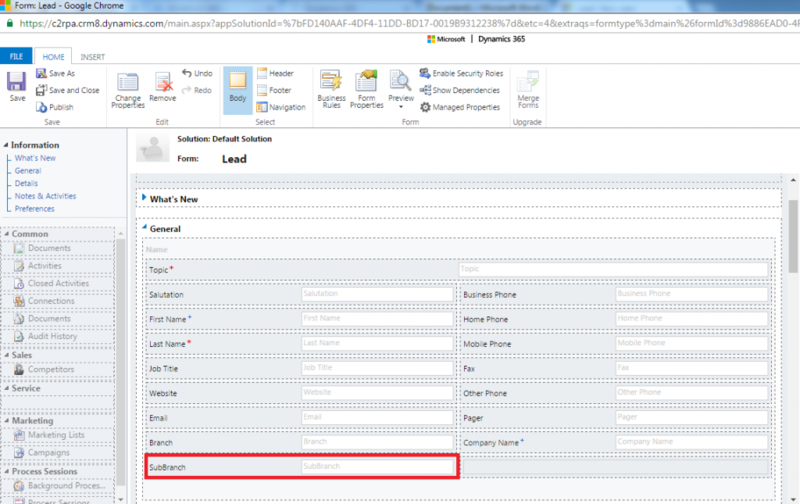 Step 4 – After this step, you have to create the data for branch entity. When the branch data is created then you have to create Subbranch data. Step 5 – After this step create two new fields in Lead entity named as Branch and Subbranch (DataType- lookup). Below images describes Branch and Subbranch field. Step 6 – Add these two field’s in the lead entity information form. After following all the previous steps, the main lead form will look like this. Then according to the requirement, we need to filter Subbranch data based on Branch selection. i.e If Branch value is selected as “India” then Subbranch field will only display “Mumbai” or Branch value is selected as “United Kingdom” then SubBranch will display the value “London”. 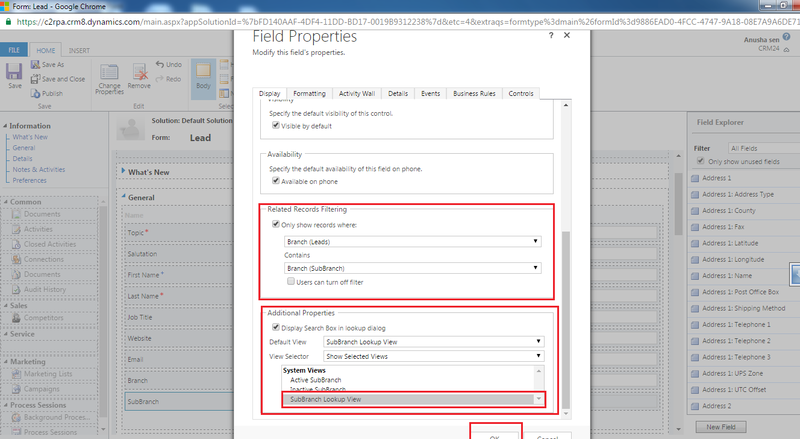 For this, we have to set the field properties. Now, Double click on Subbranch field, a new window will be open, it will be display field properties. 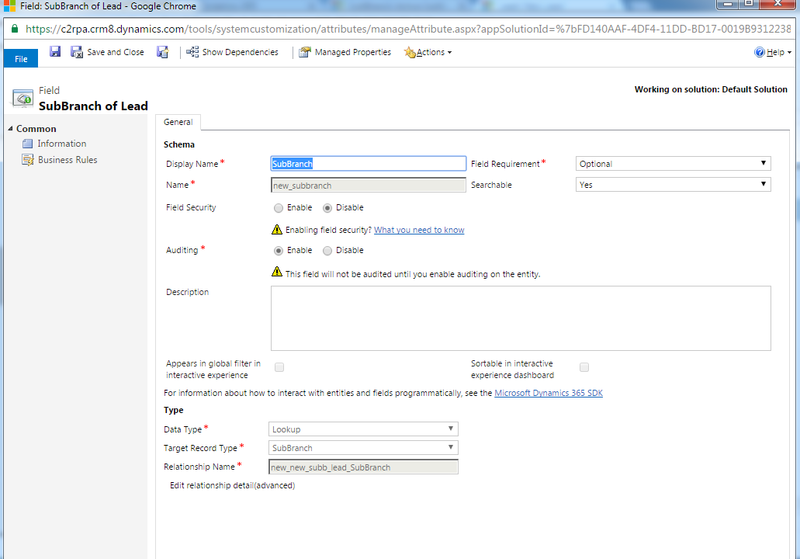 Step 8 – According to the image, we have to click on the first tab “Display”, then the property is “Related record filtering” is displayed. Click the check box (Only show record here) and Additional Properties is Display search box in lookup dialog is checked and default view is Subbranch lookup view and in view selector chooses Subbranch Lookup view, click the OK Button. Save the form using Save button then publish the customization using publish button. When you click on new button a new Lead Page is displayed. Here you have to fill all the mandatory data. When you select the Branch name as “India” then SubBranch should be “Mumbai”. All the steps written here should be followed by you for best results. If you have not understood any point discussed in this post, ask CRM development consultants India in comments. They will answer you shortly.